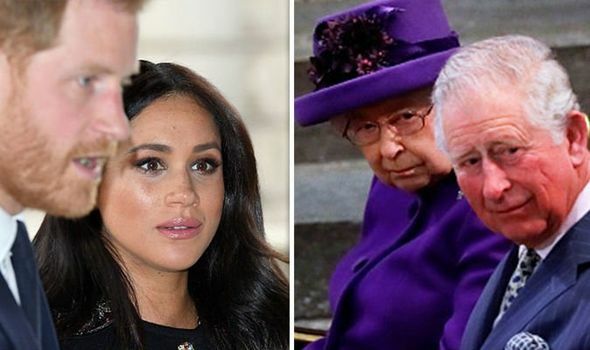 MEGHAN Markle and Prince Harry were helped by Prince William in a dispute with the Queen and Prince Charle, a Royal expert has claimed. 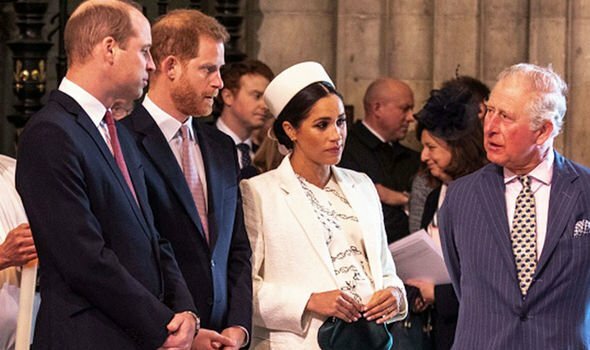 Speaking on the podcast On Heir, Royal commentator Omid Scobie revealed Prince William “had to step in and fight” for Meghan Markle and Prince Harry to have a bigger budget for their communication team. 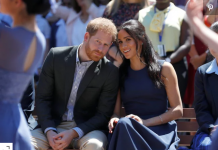 Mr Scobie claimed the Duke and Duchess of Sussex were not entitled to their own communication team as Harry is not an Heir to the throne. But as the Queen and Prince Charles attempted to limit the Royal couple’s communication resources to those shared by other members of the Royal Family, Prince William stepped in and stuck up for his younger brother. He said: “Prince Harry is not a direct Heir to the throne and only a direct Heir to the throne can have their own household. “They’ve hired Sarah Latham who is a former PR Director from the British PR company Freuds which is a big PR powerhouse over here but also has a massive background in politics. “She was on the transition team for the then President-elect Barack Obama in 2008 and she was on the campaign trail as an advisor with Hillary Clinton in the most recent run for president. “And she’s American, dual heritage, very much in line with what the couple is all about and I think it helps having someone that understands both cultures because we’ve seen over time that that difference between the US and UK work culture can cause some issues or frictions in the workplace. “But a lot of their team will be shared amongst the Duke of York and Prince Edward and Princess Anne. “The same communication staff that are working across the general office there will also be at their disposal too. “They won’t be having their own exclusive team for themselves and their budget for the team wasn’t particularly big. “And it was actually Prince William who had to step in and fight to get Harry a little bit more money spent on building a team. 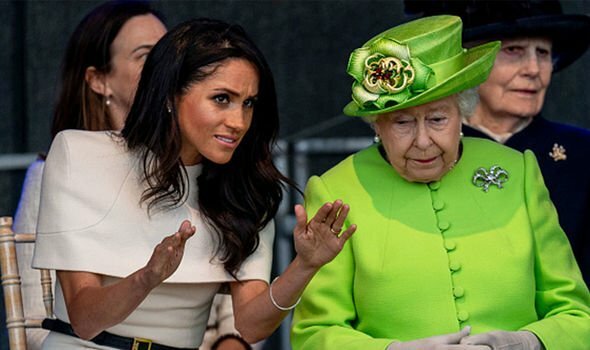 Reports claim the Queen has rejected Meghan Markle’s and Prince Harry’s request to leave the office of Buckingham Palace to separate completely from the rest of the Royal Family when it comes to charitable events and commitments. 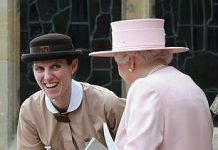 Australian TV talkshow Sunrise claimed: “The Queen has been forced to pull rank and to pull Meghan into line after making a bold call to move away from the Cambridges. 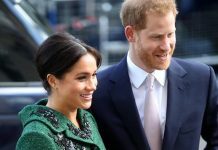 Responding to the claims, Royal expert Richard Fitzwilliam argued it was a “dramatic” situation as he believes the decision was forced by Meghan Markle’s behaviour with the press. He said: “There is no question that this is dramatic because at Kensington Palace they share an office with William and Kate that was funded by Prince Charles. “Now their press office at Buckingham Palace will answer to Donald McCabe, the Queen Communication Officer.